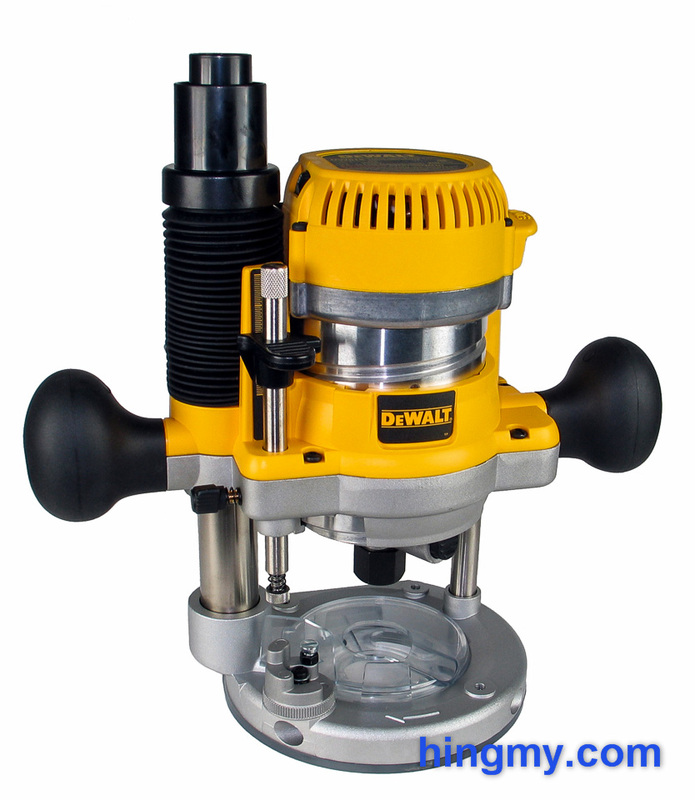 A few weeks ago we reviewed the DeWalt DW618, an excellent fixed base router. 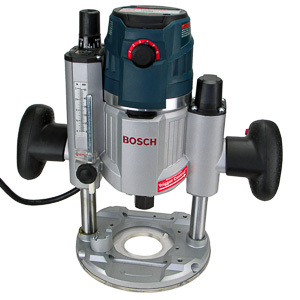 One way to purchase this tool is too buy the DW618PK kit, which also includes a plunge base. At under ~$200 this kit is an excellent choice for novices and professionals alike. Naturally we had to decide for ourselves, if the plunge base matches the excellent quality of the fixed base. Let's take a look. The DW618PK router kit is part of the DW618 router system. DeWalt has created a single motor unit that fits into several base options. The DW618PK kit includes the motor unit, the plunge base, and the fixed base. A D-handle base is also available as part of a larger kit. We have already reviewed the motor unit and the fixed base as part of the DW618 router review. The motor unit impresses with ample power for a mid-size router, and its excellent build quality. The variable speed control, large spindle lock, throwback power switch, and removable power cord separate in from the pack and move it into contention for the top spot among mid sized routers. The fixed base is equally well built. Made from a single cast, the base has a very low center of gravity. This makes the DW618 handle better than most routers. The depth adjustment mechanism is one of the best in market today. The bit's depth can be adjusted with almost micrometer accuracy. Best of all, the mechanism is intuitive to learn and use. 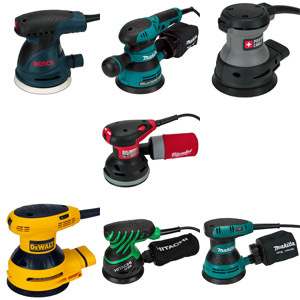 You can read more about the fixed base and the motor unit in the DW618 Router Review and the DW618D D-handle Router Review. All the moving parts of the plunge base are made from metal. The motor drops right into the base from above. It rest on a lip machined into the rim of the motor mount. A single clamp holds the motor in place. Installation and removal of the motor takes only a few seconds. This comes in handy when changing bits, which is much easier to do with the router resting upside down on a table. The plunge lever leaves the plunge mechanism unlocked by default. Within easy reach of the thumb of the user's right hand, pushing the lever down locks the plunge mechanism. Very little force is needed to create a secure lock. Pushing the lever in the other direction disengages the lock. A spring helps the user return the lever to its resting position where it is out of the way. The router is controlled with two large rubber handles. The symmetric design is usable by both right and left-handed users, but a left-hander must operate the plunge lever with the fingers of the left hand instead of the thumb. 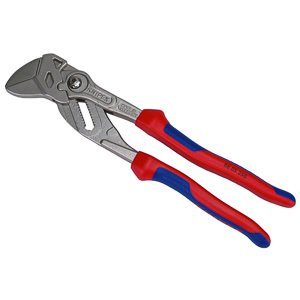 If you wish, you can remove the handles by loosening a hex bolt for each and install you own. The kit comes with two different sub-bases and the tool needed to install them. The default sub-base has a relatively small opening. Even medium size bits such as a 1/4" round over bit may be too large to fit into the base's opening. The "large opening sub-base" fixes this problem. It can accommodate larger cutters, but falls short of accepting large panel cutters. The smaller sub-base has the grooves required to mount router collets. The base plate has the necessary mounting points for attaching an edge guide. 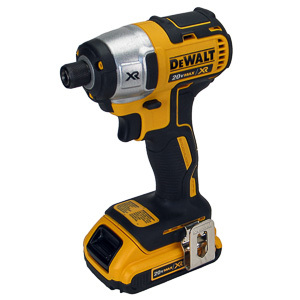 DeWalt's version of the guide, the DW6913, is attached with two rods held in place with thumb screws. The guide has the added benefit of enclosing the bit on one side below the table when edge routing. The DW618's plunge bases uses a rod to limit the router's plunge depth. A thumb screw secures the rod to the router body. The rod stays in place even under rough usage. It takes only a quarter turn of the thumb screw to lock the rod down. The indexer for the router's depth scale rides on the upper part of the rod. It is held in place by friction. Moving the indexer up and down and the rod can be bit finicky, but once it is set properly it stays in place. The scale itself has a 2 inch range with tick marks every 1/16". This makes it useful for all for the last 1/4" of the router's plunge range. Accurate repeatable measurements are easy to accomplish. The turret on the base the rod bottoms out on has five positions. Four of them are fixed stops and one is adjustable. The four fixed stops are spaced 1/4" apart for easy referencing. The adjustable stop can be positioned with a screwdriver. A fine adjustment screws is built into the bottom end of the rod. Turning this thumb screw changes the plunge depth ever so slightly. 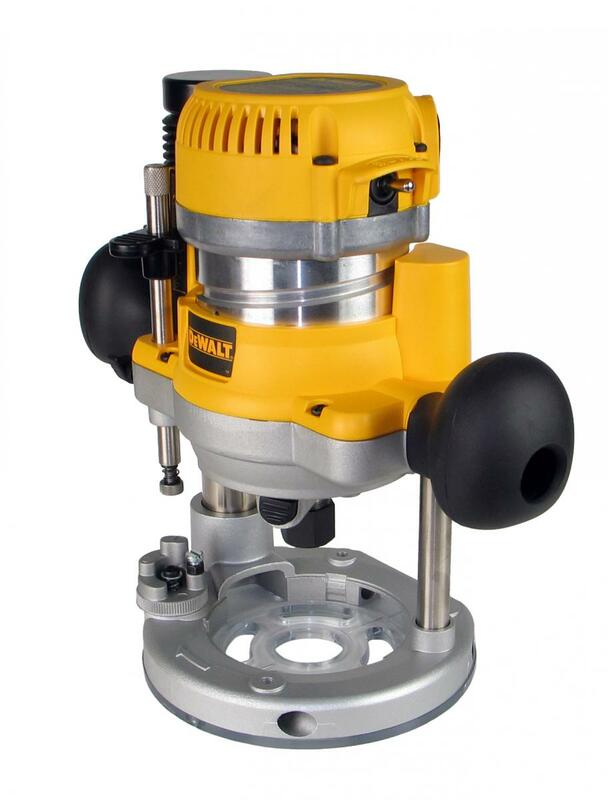 Overall the depth stop, one of the most important features of a plunge router, is excellent. 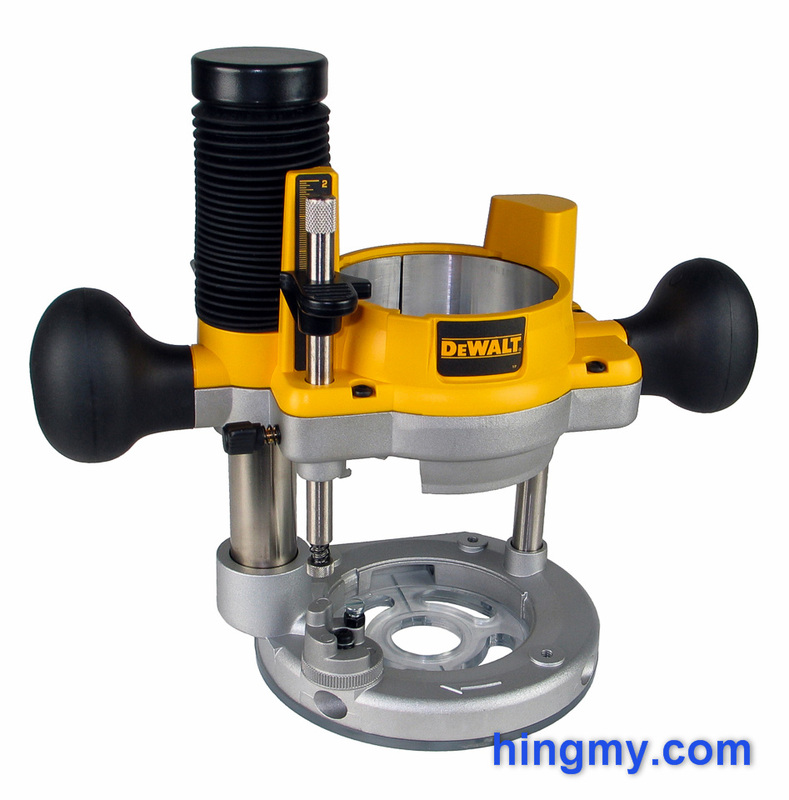 It is easy to set the plunge depth of router either using the scale, or the turret. The mechanism is both easy to use and durable. The plunge base comes with built in dust collection near the bit. An opening in the base plate funnels the dust up one of the support columns of the router to the dust port at the top of the tool. The adapter included in the kit ensure that a wide range of vacuum hoses are compatible with this model. With the router in its base configuration dust collection efficiency is poor. The bit ejects dust in all directions. The dust that happens to fly in the general direction of the dust port gets collected. The rest escapes. A clear plastic dust shield, which is included in the kit, fixes this issue. 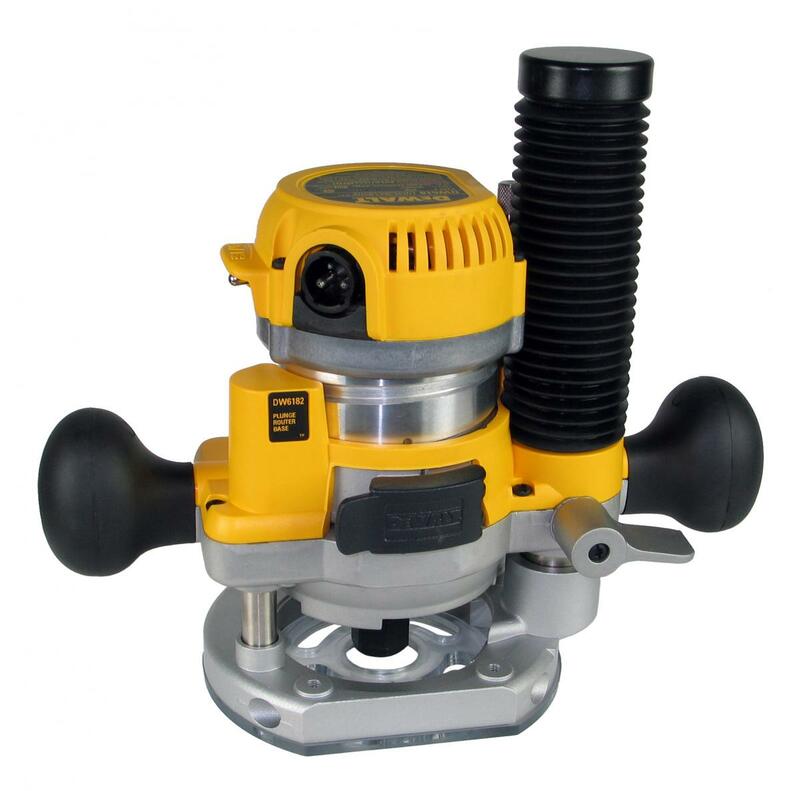 The shield encloses the bit above the plate and creates a small space to concentrate the suction of the vacuum. Dust collection efficiency dramatically increases with the shield installed. Now all dust above the plate is collected, and a good amount of dust is drawn for below the plate through holes in the base plate. In situation where the bit is enclosed below the base plate the router collects virtually all dust. A varying amount of dust escapes, if the bit is spinning freely below the plate. The rigid dust collector column gives the router a very light feel when a hose is attached. As the router moves through the cut the hose follows with little fuzz. Most of the time it is sufficient to position the hose on the table before each cut. There is no need to guide it through the cut. 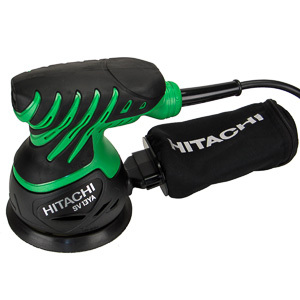 The vertical connection ensures that no part of the hose gets close to the router and the user's hands. The operator is free to concentrate on the work at hand. The kit comes in a large hard case. The interior is molded to securely store every part included in the kit. The case itself is rugged, but not water tight. It will do well on the jobsite, and will outlast the router a woodshop. The case is not compatible with DeWalt's new stacking system of tool cases. It is a stand-alone unit with its own carrying handle. While this is regrettable, the case is still a great value in itself and something you do not get with every router package. The DW618's plunge base establishes a very solid baseline for what a good plunge router should have. Every task when working with this router is completed very easily and fast. Starting with the bit change, down to setting the plunge depth, everything feels good. The tool maintains all settings until they are changed. No amount of abuse throw the alignment off. 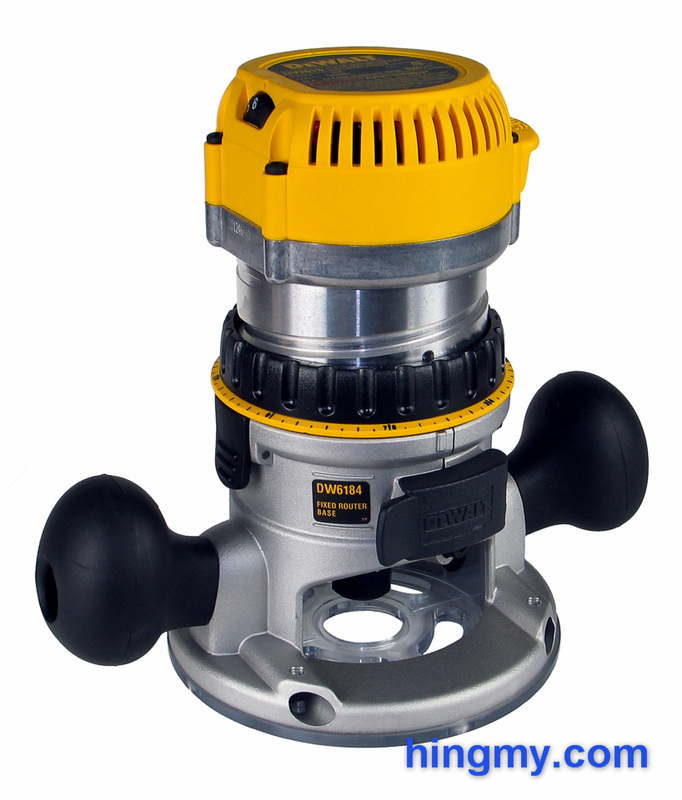 The motor has plenty of power to push any bit that fits into the base through any cut. Cutting speeds will be lower when making deep cuts in dense wood, but the DW618PK will never stop before the cut is complete. The built-in dust collection makes this machine a particularly good option for slot routing. 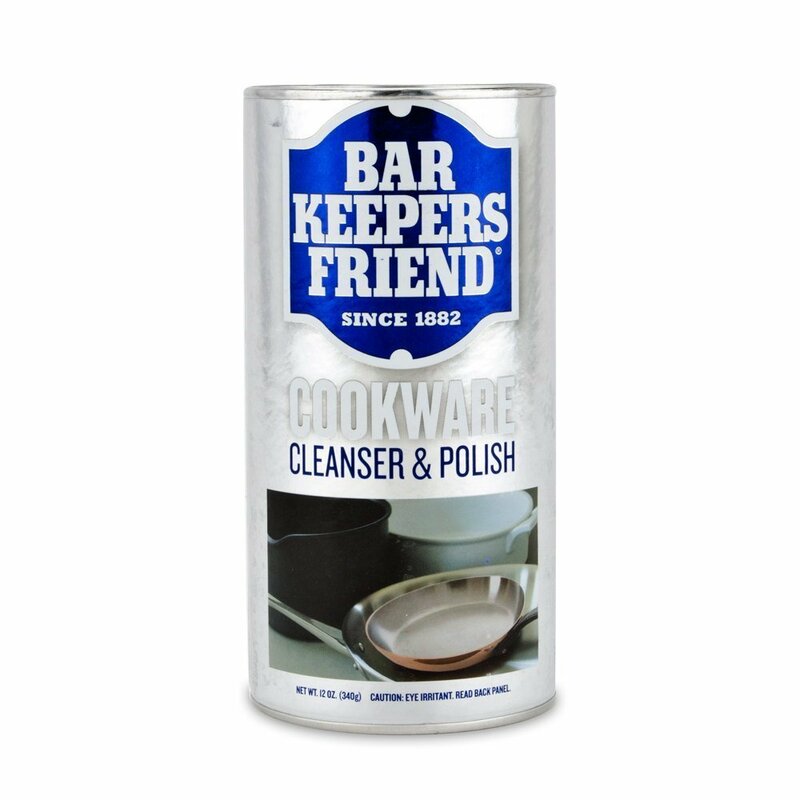 In these situation the tool leaves no dust behind. When edge routing it is important to keep the wider column of the router over the work piece. Otherwise the router wants to tip away from the work piece. Asymmetric routers do better here. The plunge mechanism in particular is a pleasure to use. The thumb of your right hand is enough to control the plunge lever. Your hands are in control of the machine at all times. The tension of the spring that resists the plunge increases as the router plunges deeper. Small adjustments near the bottom of the range can be difficult to complete due to the high resistance. The first 1 1/2 inches of the plunge range, however, feel just right. DeWalt has built a whole series of routers around the DW618M motor unit. All three base types are available as part of many different packages. The larger kits are a better value compared to building the whole kit one piece at a time. If you do not need a variable speed motor and can make due with a fixed speed unit, the DW616 series might be for you. The routers in this series have a fixed speed motor unit, but are otherwise identical to the DW618 series. There are no two ways about it. The DW618PK is one of the best router packages on the market today. It provides tremendous values by packaging one of the best motor units with an all-around solid fixed base, and a nearly flawless plunge base. Every single component in this system has been engineered to last in a professional, all-day environment. If your needs grow, the DW618 can grow with you. 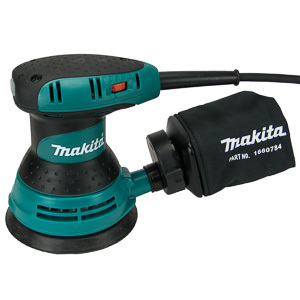 It is part of an excellent router system that includes components that are made to the same exacting standard. 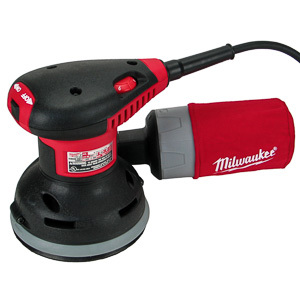 The DW618PK kit contains tools that are easy to use, and a great value for your money. If you are looking for your first router, this package is one of the best on the market. Specialty routers will outperform the DW618PK in special situations, but this kit contains the tools you will use 90% of the time. The DW618PK is a great choice for your first router.